Nepal's tourism industry increasingly demands professionally trained higher-level manpower. Ever wondered how it would be to work with a wide number of people, discover new cultures and languages on a daily basis? If yes, then a career in travel and tourism is your calling. With abundant natural resources and diverse culture, Nepal is a flourishing tourism destination and career prospects in the field are ever growing. Different institutes offer different courses, ranging from trainings, short courses to well- established academic programmes. Courses like the Bachelor’s in Travel and Tourism Management (BTTM), Bachelor’s in Hotel Management (BHM), Master in Hotel Management (MHM) and Master in Travel and Tourism Management (MTTM) equip you with theoretical and practical knowledge of hospitality and the tourism sector. Silver Mountain School of Hotel Management (SMSH), Nepal’s premier and first Hotel Management School to receive license from the Ministry of Education and Sports to run the four years Bachelor’s Degree in International Hospitality and Tourism Management in affiliation with Queen Margaret University, UK provides you with career and internship opportunities in hotel chains and resorts across the world. According to Rachana Thapa, Director at SMSH, "Studying hospitality and tourism management is an intelligent and forward thinking decision, where students will have the possibility to advance fast in the world’s largest and fastest growing industry." Silver Mountain School of Hotel Management offers world recognised education at affordable prices to students, where they not only get job opportunities but also develop strong entrepreneurship skills for career prospects. 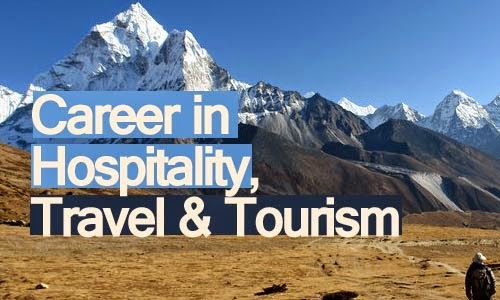 Nepal College of Travel & Tourism Management (NCTTM) also offers travel and tourism management courses along with hotel management courses for students who aim to make a career in the tourism field. Citing that NCTTM is a pioneer institute in the field of tourism management studies in the country, Sushant Marasini, Coordinator at NCTTM said, "We aim to be the premier institution in the travel and tourism education sector of Nepal in imparting world-class education, providing the industry with quantitative, competent and professional graduates and a promise to build a global career for the younger generation of Nepalis as well as students from neighbouring countries in the rapidly emerging global travel and tourism sector ." NCTTM is the first college in Nepal to run a travel agency where students can gain information regarding travel and tourism management and can do their internship abroad. Besides providing theoretical knowledge, the college has opened up a Global Distribution System (GDS) lab inside the college offering practical knowledge to students. Students from any stream can study this course but he/she must have an English background with at least a second division along with passing the CMAT exam. Along with BTTM courses, the college also offers Bachelor’s in Hotel Management (BHM) and Masters in Travel and Tourism Management (MTTM) courses as well. Tourism industry has grown rapidly over the past decades and the need for professionally trained higher-level manpower is increasing day by day. Nepal Academy of Tourism & Hotel Management (NATHM) with four decades of Nepali Tourism & Hotel Management education aims to enhance the level of quality in tourism and hospitality services by providing supervisory level skill oriented training. Chuda Mani Sharma Kattel, Executive Director at NATHM said, "The academy in consultation with the tourism industry has been offering three years Bachelor’s in Hotel Management (BHM) course from 1999 and three years Bachelor’s in Travel and Tourism Management (BTTM) course from September 2003 in affiliation with Tribhuwan University. But from this year, as per TU, the academy is starting four year courses in BHM and BTTM. NATHM is also planning to open its own hotel where seven students from SAARC nations will get scholarship opportunities. In addition, the institution has produced more than 26,000 (basic, supervisory and managerial level) trained and qualified young people for the tourism and hospitality industry.